Stress is part of life. All biological organisms, including people, require some stress in order to maintain well-being. However, long-term or chronic stress is particularly damaging if not interrupted with periods of rest, relaxation and nurturance. Improve your ability to communicate how your practice of massage or bodywork helps your clients' stress relief through this home study course. I appreciated and noted Sharon Burch's expertise in her three fields as nurse practitioner, massage therapist and educator. As a professional and knowing facts, she dovetails experience and practice with today's harries, stress-filled lives. The reflective exercise, situation to avoid and case presentations were most helpful in again bringing the printed words alive and into the concrete interactions with persons coming to us for understanding and care. This course was GREAT!!! I learned so much about recognizing mental/emotional deviations and how to support and refer the clients. In addition, I feel that this course improved and increased my knowledge as a therapist. Excellent presentation of the material. 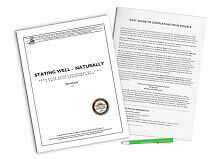 It was clear and concise, easy to follow and provided lots of practical information regarding the practitioner's role in dealing with people of emotional and mental states as well as illness. This course was very informative, as it gave definitions fro various mental health concerns in easily understandable terms. It also gave the appropriate techniques to use or not to use for each situation. These are helpful guidelines. This course is a well researched summation of stress and the effects of stress that one might meet with in a bodywork practice. Raises awareness and therefore helps to build confidence and professionalism. it was very good and informative and fairly easy to learn. I am very satisfied and will continue to take more courses in the very near future. Thanks! My father had dementia and I gained new knowledge personally. I feel the material could even delve deeper. It's a very interesting topic I had no idea that "Stress Reduction" was going to be involving all of this, but I thoroughly enjoyed it all and the review from my Blue Cliff College days. This was a fabulous class!!! I learned so much more on Stress and what to look for and how to help in different areas. I recommend this to EVERYONE. We all have stress and it was a great reminder to take care of self as much as we do others. I found this course interesting and helpful as well as meeting my CEU needs. Thank you for the Stress Reduction material. I learned more than I thought I would. I found this course to be truly clarifying and easy to understand. The information contained here will be a nice resource to use in my massage and Reiki practice. Thank you for the great courses you continue to offer. The materials were well written and opened up some perspectives I hadn't explored before. This course was very knowledgeable and I definitely will be able to use it! Very informative and everyone deals with stress in their life, including me! The materials and test were easily readable and it didn't take much time to complete the test and the evaluation. Very helpful that specific procedures were given for the therapist to do under certain circumstances and reactions of clients. Not only did this course give excellent information, for me it emphasized the importance of knowing how to recognize stress-related behaviors and serve my clients correctly. This course was very informative and helped realizing how or actions as therapists can really affect someone's mental state. I felt this class explained situations more clearly then I have heard before. I've been in practice for over 20 yrs and some of these cases were not touched on this thoroughly. Thank you for the new insight I have. Great and loved the ease of the process! Thank you! I can surely use this with my practice. I have friends who have migraines and Epilepsy. This will be a great tool and source of knowledge for me. I found this course to be very interesting and informative. The course material was very easy to understand. It was extremely informative. I learned a lot. Fun an informative. Good format! Thank you! This was an amazing course. I took a long time reading it because I had to look up a lot of terms and techniques that I was unfamiliar with. I realize that I have a lot more to learn even after 15 years of working as a professional MT. Thank you for this class as continuing education. I learned some very valuable information from this course. I would highly recommend it for all body workers!! Very informative. Because of this course I'm considering this area of expertise. Thank you for providing this valuable information. 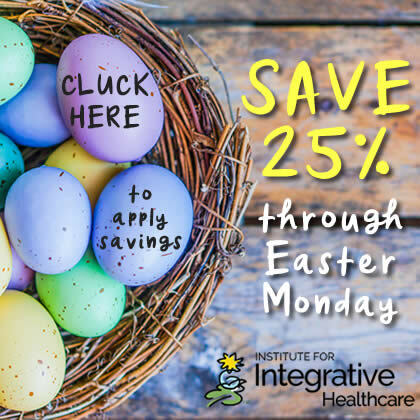 What a great value to obtain knowledge on the usage of a system of assessment in therapeutic action and then re-assessment of each & every client! Thank you very much for sharing!!! I thought the course was well thought out and presented in a manner that made it easy to understand and complete. Thank you. I will retain this information easily and apply it in my practice! I enjoyed the course. Very helpful. This was a very informative and interesting course! I liked the examples and diagram included. They really helped to clarify and understand the materail. The studies at the end were interesting. This was a good course. I will for surely keep this information handy when working with these types of clients. This was the best online course I have taken. It was straight to the point and very beneficial. It exceeded my expectations! I enjoyed this course it will be very helpful in my practice. Thanks! This course was a valuable educational tool and information to learn and use with clients. It was great and I have new insight on the condition this course gave me. Thanks! Enjoyed the information. Very useful. This course was a happy surprise! It was insigtful and very helpful concerning the focus of the particular subject. I really enjoyed this course. Very insightful & instructional!! Every Bodyworker should take this course!! Because I am interested in this information, it enlightened me and also confirmed what I had already learned - it was good to know I am on the right track with my clients. Thanks this helped both me and my professional practice.I enjoyed this course very much. Very well put together and easily understood. This was my first online CEU, and I was very pleased. The information is something that I will use in my everyday life. I found the course to be interesting and practical. This course was awesome!! Great insight!!!! Glad I took it. Learned a lot!! Great information you can incorporate into your practice. It seems more clients are experiencing depression these days. This course will certainly help if and when you are faced with this challenge. This course offered insights into my clients possible behaviors and indicators as well as reminders to myself to make sure I am taking care of myself and my stress levels. Thank you, the content of this course was very interesting to me. I feel more prepared to handle situations of high stress in my clients and to better understand how stressors play out in our body/mind. This course was helpful because of the high stress level of most clients. Thank you. Your support staff was very helpful in answering all my questions. The course was well presented and very informative. Would recomend to others. 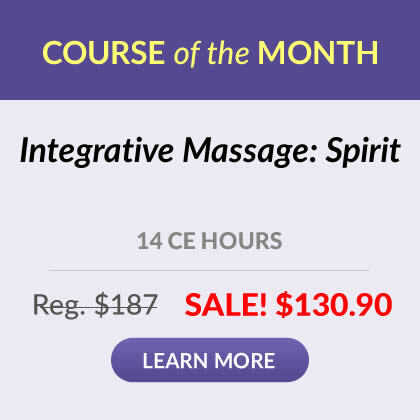 This course covers important situations that can present themselves in the massage session. I appreciate focusing on these ideas at length and supporting the therapist's role. Made me think about the different situation that might occur. I enjoyed learning the actual hands on techniques for cleints with mental/emotional disorders. I feel more prepared for these situations in the future. Really liked the program and working with the institute was easy and friendly. I loved all the references at the end. I knew by all the references the program was not only professional in nature but truly researched by highly trained professionals. This course was helpful and informative for me as a practitioner. I learned ways to both apply this knowledge to my personal life and my practice. Thanks! Very good review of how people deal with stress (appropriate & inappropriate) personally thought provoking. Keen observation and excellent body/mind assessment is the therapists biggest challenge for the therapists who need to develop in this area, this course will aid in building people skill and confidence. I found the therapeutic actions really helpful. This was an excellent course on dealing with my clients emotional needs. The information was interesting and applied directly to my massage bodywork. I appreciated this course and learned a lot of things I can implement in my personal life as well as in my work with clients. I was intrigued by the research noted in regards to massage's effect on stress levels. I enjoyed this course and it is applicable to the general public. 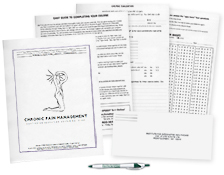 Good review of issues that may affect a bodyworker and client. Great information, especially the information on therapeutic actions. A good course to give a more in-depth look about stress and mental/emotional illnesses. This is an awesome course and easy to understand, thank you! It was easy to read and very interesting. It will be a good addition to my practice to know more about how to handle clients with disorders. Very informative; info I can actually use in practice. Very good course, well organized, and very useful information. Very informative information I can use in my practice. I enjoyed taking this course so much that a I use the pamphlet regularly to brush up on different topics. I was so pleased with what I learned that I have referred other therapist to take the course. This course was well written and appropriately detailed. It was very useful and enjoyable. Lots of information in an easy to follow format. Great information to know in working with different people everyday. I found the section on Clients with Mental Illness very interesting. It gave me a new insight, because I primarily deal with physical problems in the medical office I work in. This course really explained how to deal with mental/emotional illness when it comes to massage. I really enjoyed the course, gave great information. Every therapist will encounter one or more of these type disorders during his/her practice. I've enjoyed this course and I learned a lot! The material was very well written. The course is very easy to understand and it helps put you in a possible situation to prepare you. I loved this course!!!! it really was very interesting, positive and helpful in many ways! I found this course to be extremely helpful in dealing not only with clients but with family. Thank You! I now feel much more equipped to relate to what others are going through. The course was very enlightening and was well worth the price. This course provided vital information on mental and emotional illnesses as well as the effect of stress on the body/mind. Very informative in a concise easily understandable text.